There’s no exact formula when it comes to SEO. Every organization’s situation is different and a lot of it comes down to building a good site and being patient. Part two of our SEO Education Series will highlight the importance of on-page optimization and content management. A little effort, and some patience, goes a long way. So, now that we know what SEO is from the first part of our SEO Education series, we can dive into what on-page optimization is. By SearchMetrics.com’s definition, on-page optimization refers to all measures that can be taken directly within the website in order to improve its position in search rankings. Generally, this includes: a page title, description of the page’s content, page keywords, a picture (or a couple), a healthy amount of content (text), and possibly some links to other pages on your site. Often, doing the baseline minimum will result in a substantial improvement. To walk you through the image above, we have taken the bullet points most applicable to youth sports websites and listed them below. 7. Keyword-rich site content – preferably keywords that match your titles; the lengthier, the better! 9. Multimedia – pictures, videos, and charts with appropriate alt-text – what is this? 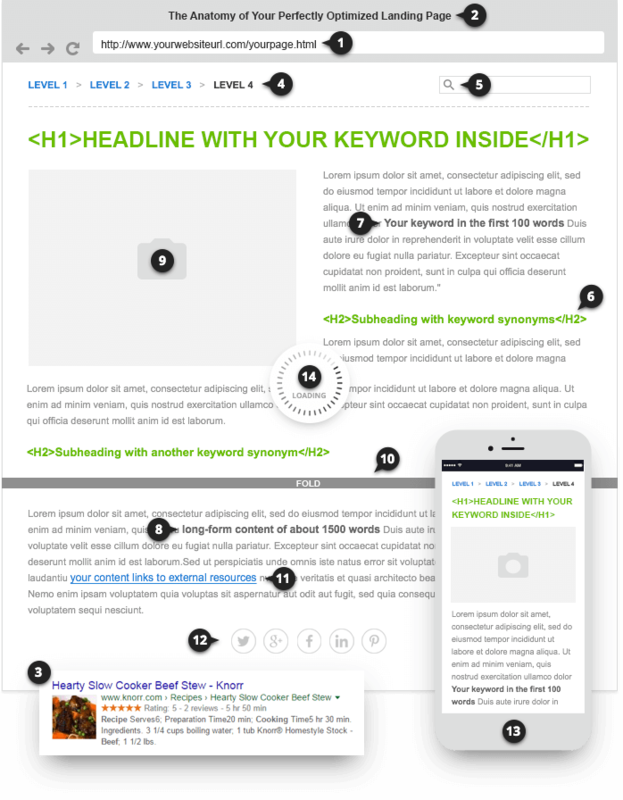 To read more about the anatomy of an optimized page, visit this page. In the previous post in this series, it was mentioned to put yourself in a parent’s shoes; what will they most likely search? What phrases do they use? Will they include the area of your club when searching? These questions, along with all of the SEO touchpoints above, are important to think about as you go through your website design and prepare the site title, page titles, and page descriptions to improve your website’s ranking. The better the ranking, the more traffic you will get to your page! When it comes to content, in general, you should pick one keyword per page, and one that matches your titles. This is your focus and it should be used no more than 4-6 times per page – you don’t want the quality of the content to decrease by over-using a word. However, this does not include ‘supplemental’ keywords. Supplemental keywords relate to your main topic on that page. This process should be applied to every page that you have on your site. 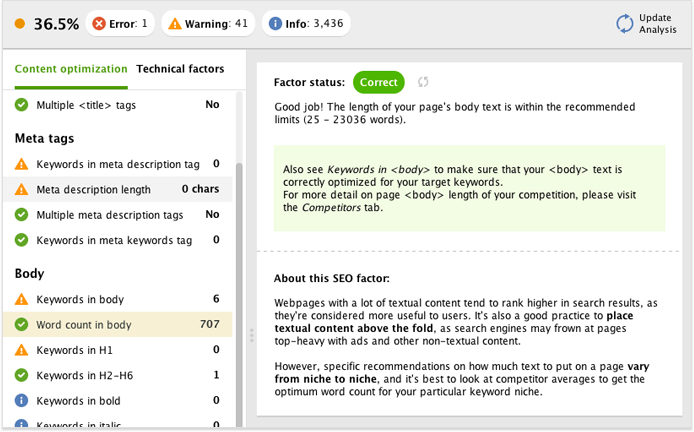 All keywords you choose are dependent on the topic of each page for your website. So, starting with something specific to your town, fields, team name, and affiliation name (if applicable) are a good start for your first Main page. Reminder: as you get into building a better website, with more pages, you will be better able to refine your keywords and supplementary words as you go through each one. Get feedback from the people who will be signing up – parents, volunteers, participants, etc. Test Google Autocomplete. Whenever you begin typing in google, it will often autocomplete the most search phrases. Those are actual keywords people are using to search, take advantage of them by catering to what people are already searching for. UberSuggest is a great (free) tool for employing this approach. SEO isn’t easy, and like we’ve said, there’s no magic trick to mastering it for your club’s website. We’ve already gone through a comprehensive overview addressing what is SEO and why it’s important, and now we’ve gone into some key points for on-page optimization. In the upcoming (and final!) post of our SEO Education Series, we will cover in-depth, how-to examples for your youth sports website. Stay tuned!